Bullyland Disney Figurine, Cinderella Standing. 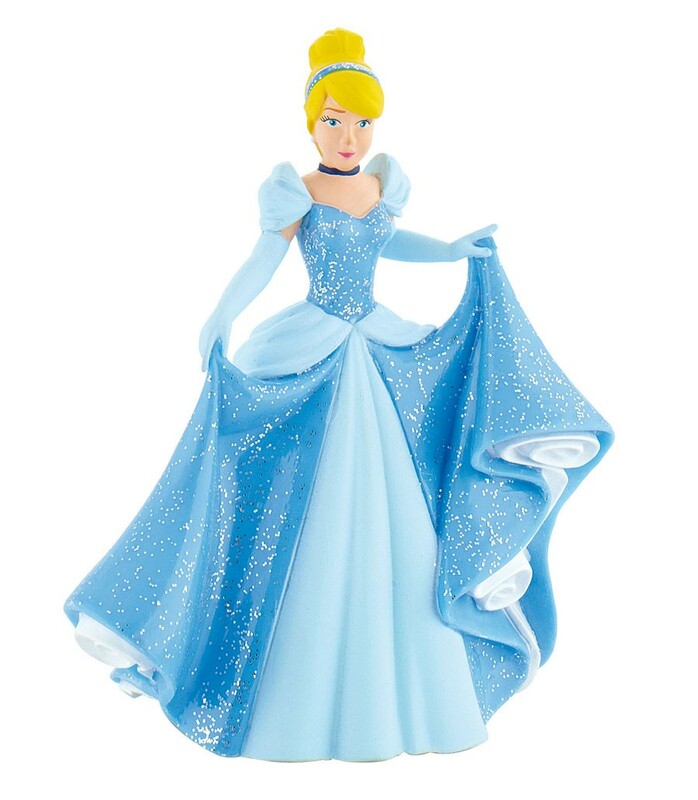 Bullyland Disney Figurine Cinderella Standing. Cinderella welcomes her new stepmother Lady Tremaine and daughters into the family home. When Cinderella’s father suddenly dies, she finds herself at the mercy of the jealous and cruel daughters and relegated to a servant girl. Cinderella will not give in to despair and she meets a handsome stranger who is in fact a Prince. Invited to the ball the jealous stepmother destroys her dress but a Fairy Godmother saves the day (blue ball gown).